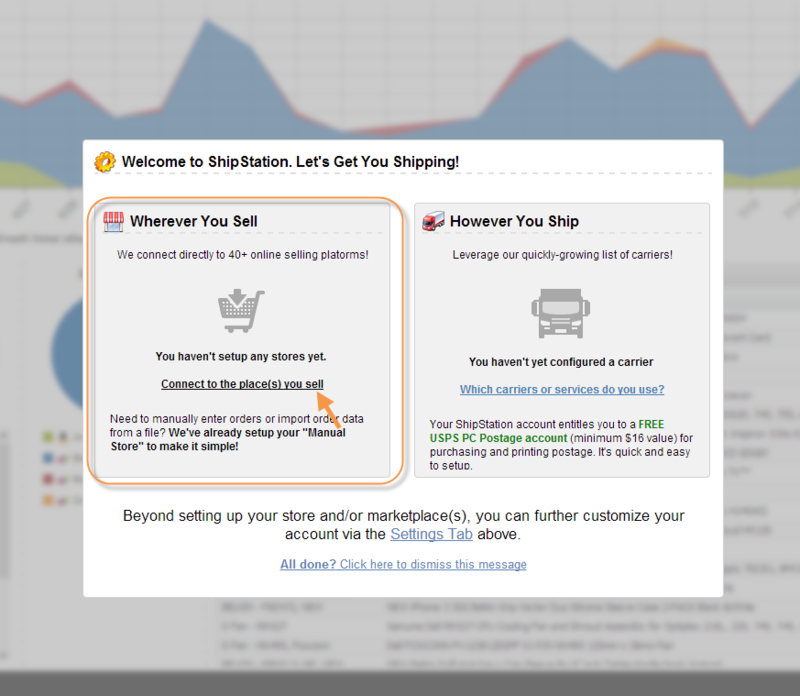 ShipStation is a shipping solution that streamlines the order fulfillment process for online retailers. With real-time integrations into popular marketplaces like eBay, Amazon, Sears, Best Buy, etsy and shopping carts like AmeriCommerce, ShipStation handles everything from order import and batch label creation to customer communication. Advanced customization features such as Automation Rules and Product Profiles allow ShipStation to fit businesses with any number of users or locations. As a SaaS, cloud-based software solution, ShipStation is compatible on both Mac and PCs through any web browser— from any location! 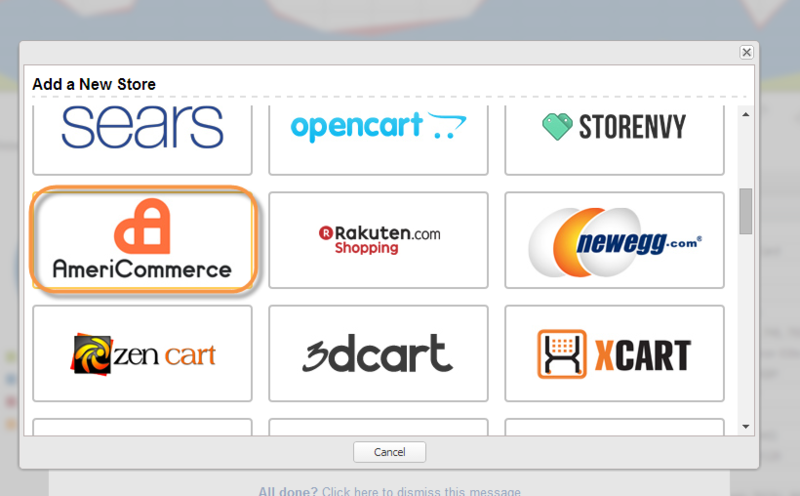 What AmeriCommerce online store Features Does ShipStation Support? How to Setup your ShipStation Account. 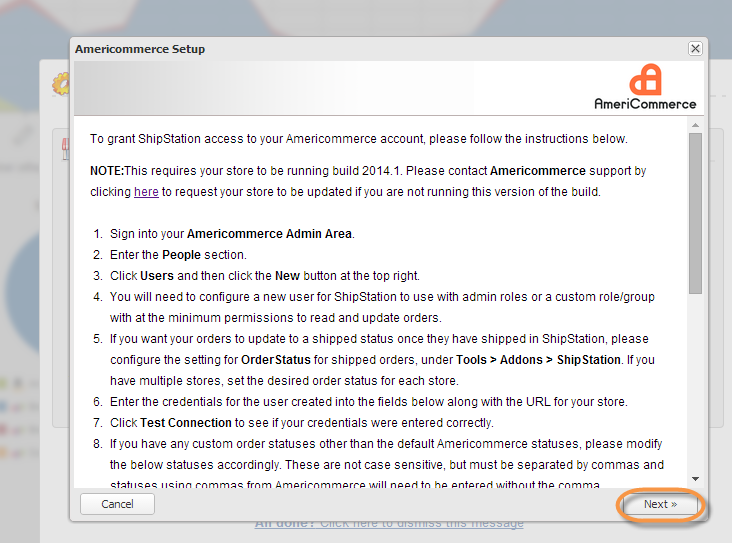 Create a User in AmeriCommerce online stores with Order Read/Update access for API permissions. You will be prompted to enter information in here that will integrate with AmeriCommerce online stores. You can then run a test to make sure it's connected. Once the setup test was successful, you will prompted to enter the following information. NOTE: You can also set up a warehouse location for your products. 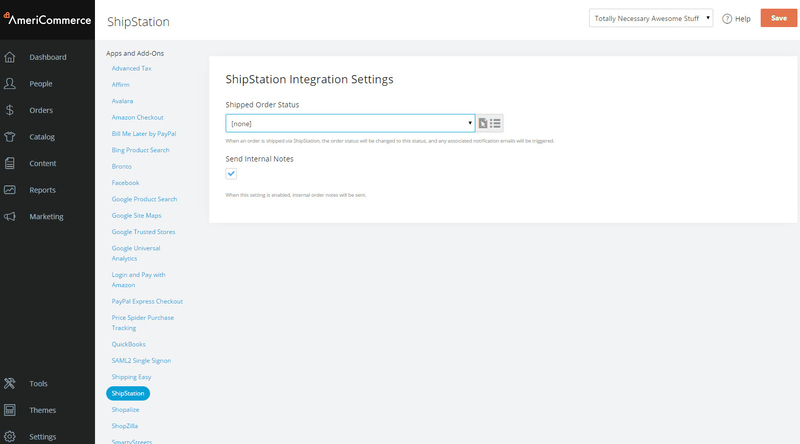 If you want to send a warehouse location to ShipStation all you have to do is create a product custom field titled ShipStationWarehouseLocation . (Be sure to use that name exactly including capitalization and no spaces. Then any products that have a value for that setting will pass it over to ShipStation on sync. Note your order statuses so you can enter them in the ShipStation. Note that these ShipStation statuses can accept a CSV list of multiple statuses for each, so statuses cannot have commas. Our default “Approved, Pending Shipping” needs to be changed, as it would appear to the ShipStation config as two statuses, “Approved” and “Pending Shipping”. In the ShipStation admin, click Settings > Stores > Add a New Store. 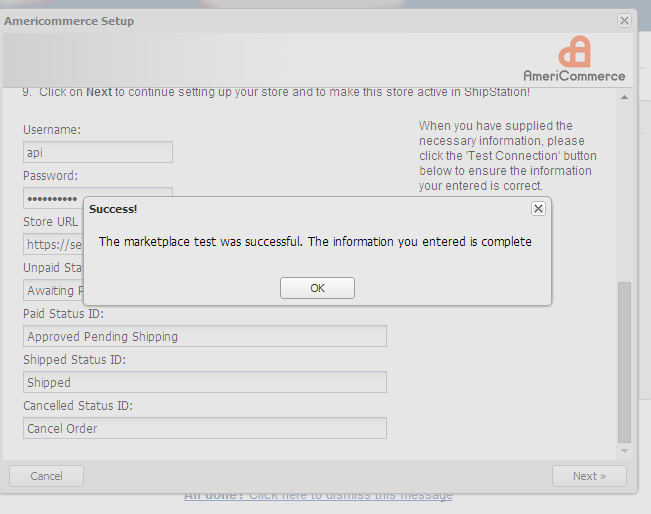 Enter the AmeriCommerce online store user and password you configured. 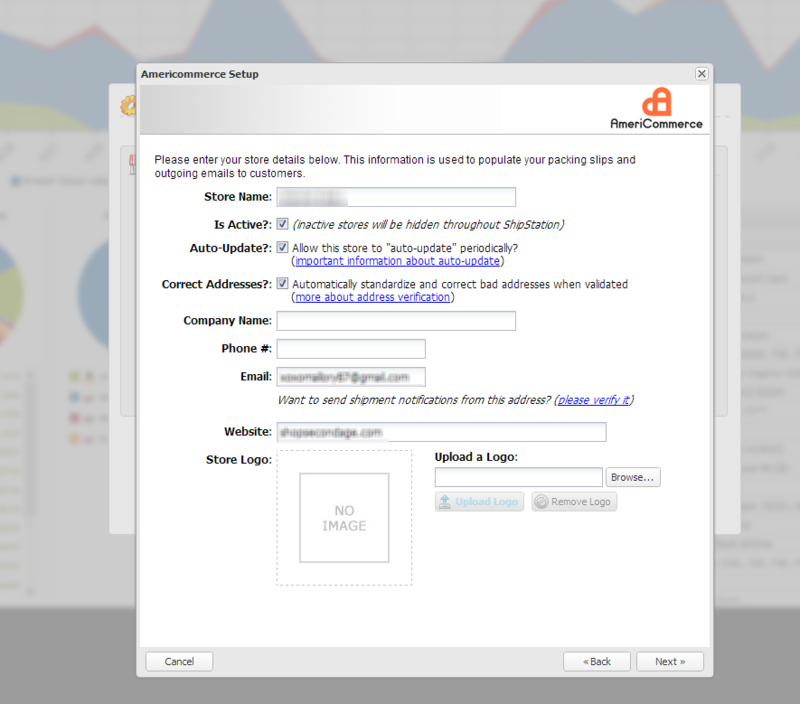 Populate your AmeriCommerce Order Statuses for each status in ShipStation. Click Test connection to verify your username/password and URL settings. 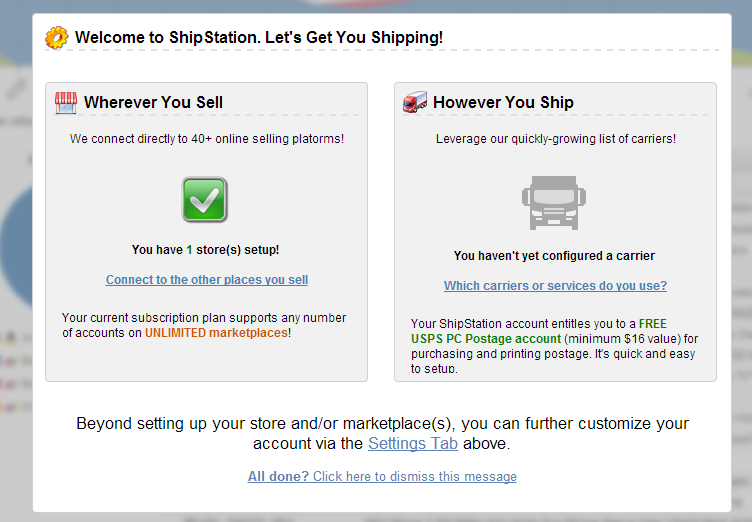 Make sure in your settings for Shipstation under Apps & Add-Ons that your Shipped Order Status is set. 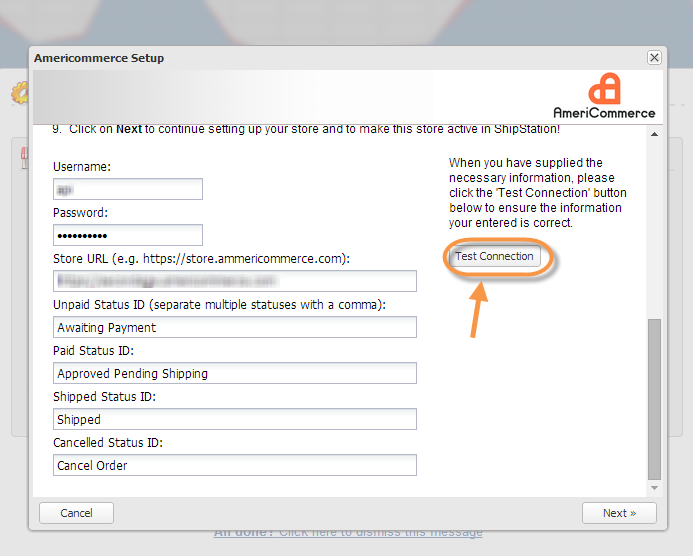 If you have it set to none, you won't see any order statuses change in sync with the status that they do in the AmeriCommerce online store.